Who is Actress Sara Martins of Death in Paradise, What is She Doing Now? Leaving Death in Paradise must have been twice as difficult for the fans of the TV series as it is to Sara Martins. The Portuguese-French actress received lots of credits for her outstanding performance in the British-French crime comedy-drama. Despite being her debut role in comedies and on British TV, Martin left no stone unturned in portraying as Detective Sergeant Camile Bordey in the series. Unfortunately, her character role came to an end in the fourth episode of the fourth season. 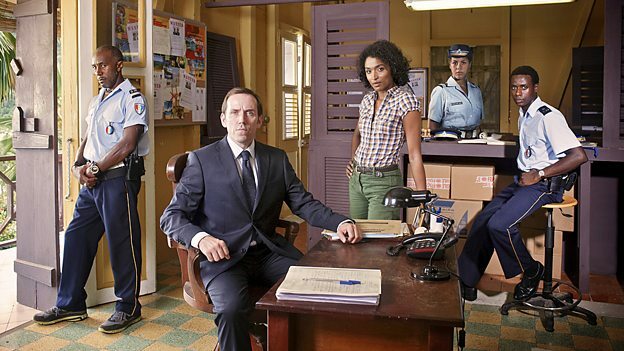 Prior to Death in Paradise, Sara has featured in TV series some of which include Les bleus: premiers pas dans la police, Disparition, Cain, Insoupçonnable, to name just a few. Find out more about this Portugues actress. Who is Actress Sara Martins of Death in Paradise? Sara Martin is a native of Faro, Portugal, she was born on August 19, 1977, but was raised in France where her family moved to when she was 3 years old. Sara had most of her education from a Western European country which is why she could speak English, Portuguese and French fluently. Born under the birth sign of Leo, Sara is a descendant of Cape Verde but she loves dancing, especially the ballet and to adequately learn the dance, Sara enroled at Lyon Opera. Sara Martin became the very first African descent to join the classic music venue. However, she later left the ballet to earn her Baccalauréat with a theatre option after she was informed that she would not go further with the dance because she was the only black dancer. In addition to her Baccalauréat, Sara Martins earned a DEUG in law. She later bagged a degree in acting at the French National Academy of Dramatic Arts. Sara wasted no time in beginning her career in acting. Almost immediately after graduating from high school, Sara got involved in acting with the French film Le Radeau de la Méduse, at the Théâtre National Populaire in Villeurbanne, being her debut film. Other plays she appeared in include Le Costume(The Suit) and Race. In 2001, she took her first TV role in police District, a popular French police series; Pigalle, la Nuit, and of course, the crime TV Détectives, to mention but a few. While appearing in TV series, Martins also featured in a good number of films some of which include Tell No One, Girlfriends, Orpailleur (Garimpeiro, The Gold Forest) and Non-Compliant Profile. Sara Martin’s breakthrough in the entertainment industry came in 2011 when she received her first role in comedy and on British TV. She joined the crime comedy-drama Death in Paradise and starred as Camille Borgey, a gorgeous-looking detective sergeant on the fictional Caribbean island of Saint-Marie. While featuring in this TV series, Martins also featured in more series like Caïn (as Barbara Simon), Signature (as Hélène) and Nora Abadie. Sarah’s character role in Death in Paradise was in the fourth series entitled Until Death Do You Part. The beautiful actress admitted it hard was for her to leave the series but consoled herself and her already gained fans that it was part of growth. Other series Sara Martins featured outside Death In paradise include American Odyssey(as Serena), The law of Alexandre (as Sonia Dubois), Capitaine Marleau (as Irène Ruff). Father Brown appeared as the last series she featured in as of 2018. With a good number of incredible roles Sara has played in the entertainment industry, it is only natural for the 5 feet 7 inches tall actress to earn a good fortune as a reward. Sarah’s net worth is not yet known, however, some sources online put her worth around $600,000. She also reportedly earn over $80k from her appearances in Television series. See Also: Who is Vanessa Nadal, Is She Married, Who is The Husband: Lin-Manuel Miranda? Sara Martins might have left the crime comedy-drama, Death in Paradise but it is quite obvious the young African beauty isn’t yet done with the screen business. Her latest TV appearance as of 2018 is in the British TV period drama Father Brown which premiered on BBC One on January 14, 2013.